The rally in risky assets in reaction to the EU Grand Rescue Plan was awesome to behold as the risky assets seemed to defy gravity despite grave concerns expressed by analysts over the details of the plan. The rally has unleashed a tsuanmi of positive price momentum. However, medium term concerns from cyclical indicators, measures of risk aversion and macro concerns over the sustainability of the eurozone "fix" leaves me to believe that we are undergoing a consolidation phase with an upward bias in the next few months. I would be inclined to become more cautious about the outlook for equities and other risky assets in the 1Q and 2Q of 2012. My Inflation-Deflation Timer Model agrees with this assessment and has moved to a "neutral" from a "deflation" reading, which would orient the model portfolio from a bond heavy tilt to a more balanced weighting between stocks and bonds. In the meantime, enjoy the spectacle of stocks defying macro-risk gravity. To see how powerful the momentum is, you just have to look at the chart of the SPX. It shows that the index not only rallied through a downtrend line, but through resistance at the 1260 level and the 200 day moving average. Does this mean that the tide has turned and it's now up, up and away from now on? Charts from a number of major equity averages around the world seem to suggest that bullish view. The FTSE 100 shows a similar pattern of a rally to test the 200 day moving average. Even the Euro STOXX 50 shows a pattern of a turnaround. It broke through a downtrend line and the index is now in a minor uptrend, though the rally hasn't quite reached the 200 day moving average yet. Moving eastward, even the Hang Seng Index has shown a pattern of strength by rallying through an important multi-year resistance zone. While the short-term momentum has been impressive, cyclical indicators are not sounding the all clear signal just yet. The resource-heavy and cyclically oriented Canadian equity market is showing a pattern of a rally through a short-term downtrend, but the longer term downtrend remains intact. Commodities are also telling a similar story of a counter-trend rally within a longer term downtrend. The Shanghai Composite isn't looking as healthy as Hong Kong or the other major equity averages around the world as it is struggling at the site of the 50 day moving average as well as a major resistance zone. Inter-market analysis confirms my cyclical concerns. The relative performance of the Morgan Stanley Cyclical Index against the market also shows a pattern of a counter-trend rally within the context of a longer term relative downtrend. Measures of risk appetite are also telling a similar story of a retracement within a longer term downtrend. Consider, for example, the performance of the NASDAQ Composite against the large cap NASDAQ 100. The ratio rallied through a relative downtrend line, but it has barely retraced much of the technical damage done when the risk aversion trade began in July. This chart suggest to me that the current rally has further to go, but a more realistic expectation would be a period of sideways consolidation with an upward bias. Longer term, this trade has the potential to go down further. The relative performance of JNK (junk bonds) against IEF (7-10 year Treasuries) also show a similar pattern of rally through a short-term downtrend, but the longer term downtrend remains intact. European banks could send Europe into a deep recession. I wrote before that banks are asked to recapitalize to the tune of €100 billion, but the total market float of these banks is about €200 billion. Any plan that raises that much equity in such a short time will crater bank stocks. Bank CEOs have the alternative of getting to their 9% target by calling in loans, which would create a credit crunch that sends Europe into a deep recession. Greece is still struggling under the burden of an enormous debt. Even with the “voluntary” haircut, Greek debt will be 120% of GDP, which is above the 100% 90% of GDP benchmark that most analysts Rogoff and Reinhart consider to be a sustainable level for sovereign debt. Will Greece have to come to the table again for relief in the future? What does the EU do when Portugal or Ireland asks for debt relief? When they rescued their banks in 2008-9, the Irish understood that they would be offered the same deal as Greece if there was a deal to be done on debt relief. Already, the Irish are seeking some form of debt relief. How will the EU respond? Pressures are showing up again in the bond market. The Italian bond auction on Friday did not go well. 10-year yields surged to new highs at 6.06% and they sold only €7.93 billion of bonds, which was under the €8.5 billion maximum. The EFSF's AAA credit rating depends on the French AAA. The WSJ reported that Standard and Poors has affirmed the EFSF AAA rating, but that rating depends on the credit rating of contributing member states, several of which have been downgraded recently. This puts incredible pressure on France to retain its AAA rating. All roads lead to *ahem* Rome. I guess that's why George Soros thinks that the current rescue plan will hold together between "one day and three months". There are signs of stress in trade finance amongst Chinese private (non-state owned) companies. Shanghai property prices are falling, which has prompted protests at developer offices by homeowners who bought in at higher prices. These protests show that the property bubble is deflating not just in the peripheral markets, but the weakness has spread to the core markets such as Shanghai. We know from experience over the last few years what a popped bubble can look like and it's not pretty. Last but not least, we have a looming recession in the US. In addition, the Super Committee to reduce the budget deficit appears to be deadlocked, and Merrill Lynch analyst Ethan Harris believes that inaction may prompt a credit rating downgrade of US debt by either Fitch or Moody's. To investors who see these macro risks as dire warnings of a calamity, I would say, "Don't forget to think about the policy response." I wrote that central bankers are planning a party and I believe that's what the markets are beginning to discount. Elements of the Federal Reserve are pushing for QE3 in the form of MBS purchases and there appear to be good reasons to undertake such a step. Incoming ECB head Mario Draghi also signaled a subtle change in ECB policy last Wednesday by supporting the continuation the program of sovereign debt purchases, which was supposed to be temporary and discontinued when the EFSF comes into being. This represents the first step in a slippery slope to ECB quantitative easing, and even permabear Albert Edwards believes that ECB will eventually be forced to embrace QE. One key test of the direction of the Draghi ECB is its interest rate decision this Thursday. In China, the authorities are getting ready for a policy of selective stimulus by cutting reserve requirements. The Chinese have maintained a policy of either stomping on the accelerator or stomping on the brakes. This latest move is a signal that they may be taking the foot off the brake and they are starting to step on the accelerator again. While I recognize that the macro risks are enormous, but do you want to take the chance and step in front of a trillion or two of central bank stimulus? If asked to give an opinion as to future market direction, I would have to say that your stance would depend on your time horizon. Given the tremendous bullish momentum shown by equities last week and the technical damage done to the bearish case, my inner trader would say that in the short-term, his best guess is a sideways consolidation with an upward bias. The bull case is underpinned by the fact that we are moving into a period of positive seasonality and the likelihood that the markets start to discount the possibility of Fed and ECB intervention. Watch the FOMC statement and Bernanke press conference this week for language that tilts towards another form of QE, or under what circumstances they would become more stimulative. Also watch the ECB decision Thursday. If either central bank shows signs of further accommodation, then the news could spark off another melt-up in equity prices. My inner investor, on the other hand, believes that in the medium term, the eurozone Grand Rescue Plan is deeply flawed at many levels. Moreover, if the Fed does not signal that it is tilting towards greater accommodation by its December meeting, then the markets could be in for a rude shock should the economy start to slide into a recession. Early next year, Portugal could blow up and become the next Greece. Ireland may kick up a fuss and demand debt relief. There is also the dynamics of the French presidential election in the spring, which could create further volatility in the markets. Those are things to worry about in 1Q or 2Q. Meanwhile, enjoy the rally. So now we have the EU Grand Rescue Plan. I wrote before that the success of any short-term rescue plan depend on the cooperation of the EU, the ECB and the Greek Street. (Also see Ambrose Evans-Pritchard's comment: Europe's grand gamble risks failure without ECB). I believe that the plan is deeply flawed for many reasons and only kicks the can down the road for a few months, but the key its short-term success is the cooperation of the European Central Bank. In a "separate" statement yesterday, Mario Draghi said that he would support continuing the ECB's program to buy the sovereign bonds of periphery countries. This program was supposed to be temporary and end when the EFSF came into being. Such a statement is an important signal that a Draghi ECB is more pragmatic and more likely to print money if conditions warranted. Even permabear Albert Edwards believes that ECB will eventually be forced to engage in quantitative easing. How good is the EFSF monocline insurance guarantee? Individual EU states are only guaranteeing their contribution the EFSF and have not actually funded their portion of the contribution. So when the EFSF insurance scheme “guarantees” the first 20% of a Spanish bond, part of the guarantee comes from Spain. If Spain were to get into trouble, can investors depend on the Spanish guarantee? In that light, how big is the real size of the EFSF monoline insurance scheme? EFSF insured bonds create a two-tiered bond market in Europe. What will happen to currently outstanding bonds of troubled countries should there another credit event with, say, Portuguese bonds? Greece is still struggling under the burden of an enormous debt. Even with the “voluntary” haircut, Greek debt will be 120% of GDP, which is above the 100% of GDP benchmark that most analysts consider to be a sustainable level for sovereign debt. Will Greece have to come to the table again for relief in the future? Could Portugal be the next Greece? The Portuguese debt burden does not appear to be sustainable and many analysts believe that Portugal is the next Greece. This deal only grants relief to Greece and does not put a sufficient ring-fence around the other peripheral countries. The current prescription of more austerity is only likely, in the short-run, to exacerbate budget deficits and send fragile EU member state budgets like Portugal and Italy over the edge. In brief, the participation of the ECB in the Grand Rescue Plan has put the immediate fear of a calamity on hold and kicked the can down the road. That road has many land mines, which I have outlined, and one of those land mines is likely to blow up in faces in the next few months. Let's party like it's 2009! In the meantime, the ECB appears to be planning a party. In addition, elements within the Federal Reserve have indicated that they support a form of QE3 in the form of large MBS purchases. As well, China also signaled that they are getting ready with selective forms of stimulus by cutting bank reserve requirements. My inner trader is positively giddy at the prospect of central bank parties. He agrees with the sentiments of Cullen Roche of Pragmatic Capitalism, "Don't fade government intervention." Just look at the last party that was sparked by QE2. These parties tend to push the price of stocks and other risky assets to significantly higher levels. He says, "Don't worry, be happy." [Y]our posture is dramatically impacted by your time frame. If you are looking out 1-3 months, you are probably bullish. If your outlook is measured in 6-12 months, you might be less sanguine. And the time between is anyone’s guess . . .
We don't have the full details of the eurozone Grand Plan to be unveiled on Wednesday, but some details are clear. One of the key components of the proposal is to force a number of major European banks to recapitalize their capital base to 9% within a relatively short period. Banks would be encouraged to seek capital privately first. If that is not available, the bank could then turn to the individual member state, and failing that, to the EFSF. This is a version of the Swedish solution, whereby shareholders and bondholders take the first hit in any recapitalization before the state injects equity. I have long been an advocate of this approach, but even that proposal needs a re-think. That's because the eurozone problem stems from too much sovereign debt accumulated by a number of EU member states and much of that debt was stuffed into eurozone banks. So the solution of the state rescuing the banks who lent the state too much money becomes a circular problem of trying to insure yourself. My guess is that European leaders will force a bank recapitalization within days - probably 100 billion euros, preferably 200 billion, but the larger number is doubtful because at present market values, European banks would have to sell new shares in nearly the same quantity as their current outstanding float in order to acquire the new capital. Yet Stratfor correctly notes that even in the event of a 200 billion recapitalization, a 50% haircut on Greek debt "would absorb more than half of that 200 billion euros. A mere 8 percent haircut on Italian debt would absorb the remainder." So a good chunk of the present EFSF could end up recapitalizing banks, especially if too little is raised from private investors. This would leave little ammunition against any further strains, should they develop. The current rumor is that size of the forced bank recapitalization will be about €108 billion, which would be roughly half the value of market float at current prices. Bank CEOs who are incentivized by their share prices would be highly reluctant to go to the market and dilute their equity base by being a forced seller. By demanding that banks recapitalize quickly, the risks is that banks shrink their balance sheet by calling in loans in order to conform with the 9% capital target. This would result in an old-fashioned credit crunch, and in the face of the latest European PMI already pointing to recessionary conditions, such a policy would topple Europe's fragile economy into a deeper abyss. The ECB prints the money. [T]o put the magnitude of Europe’s crisis in context, it would take nearly 20 percent of the worlds accumulated foreign exchange reserves to account for the approximately 2 trillion euros needed to contain the EU debt crisis for a mere 3 years. The unlikelihood of such funds materializing is compounded by the fact that most of the foreign currency reserves are held by low-income countries with little political room to bail out one of the world’s wealthiest economic zones. The kinds of shock-and-awe eurozone rescue figures that have been bandied about have been in the order of €2 trillion, which amounts to roughly 20% of global foreign exchange reserves? China has already signaled its reluctance to step up and help in a meaningful way. How likely are the other emerging market countries come to the rescue? In short, forcing European banks to drink from the poisoned bank recapitalization chalice today could the policy mistake that plunges Europe and the world into a synchronized global slowdown. Don't expect other players, such as the IMF or emerging market economies to come to the rescue because the scale of the problem is just too big. I guess it's all up to Super Mario now. [A] new bombshell hit as a joint report by the EU and the International Monetary Fund (IMF) warned that, without a default, the Greek debt crisis alone could swallow the eurozone's entire €440 billion bailout fund - leaving nothing to spare to help the affected banks of Italy, Spain or France. Interpersonal relations between eurozone leaders have hit an all-time low, reflecting sharp disagreements between Germany and France over using the ECB to bailout the euro and presenting an additional obstacle to finding a "grand solution" to Europe's debt crisis. Nicolas Sarkozy's "two faced" personality has been cited as a major factor in his dysfunctional relationship with Angela Merkel. A row between the pair [Merkel and Sarkozy] in Frankfurt on Wednesday overshadowed leaving-do celebrations to mark the end of Jean-Claude Trichet's nine years as the head of the ECB. "Their shouting could be heard down the corridor in the concert hall where an orchestra was about to play the EU's anthem, Ode to Joy," said an incredulous EU official. While a certain amount of animosity can be expected when the horse trading happens, but this scene of euro disintegration is beyond the pale. So what was accomplished over the weekend? In what few details there came out, a bigger role for the ECB has been ruled out, which is a disappointment as I wrote last week that for any plan to succeed, the ECB has to agree to a bigger role which involves quantitative easing. Further to my last post on this topic, the Economist agreed and wrote that "the single currency’s future will hinge on whether Mr Draghi is brave enough to be radical." It appears that European banks will be forced to raise their capital within a very short time. In this interview with Gillian Tett of the FT, Larry Fink of Blackrock expressed his concerns that forcing banks to conform to such capital ratios in such a short time creates incentives for banks to shrink balance sheets, which would plunge Europe into a deeper recession when it can least afford to do so. Last week, equities were in rally mode as they focused on the positive news in Europe and as I write this, ES futures are flashing green. The fact of the matter is, this euro-parrot is dead. We can either accept it now, or wait until Wednesday to find out the grisly news. The sooner market participants move from denial to acceptance, the better. One of the tenets of technical analysis is, "Listen to the markets." When US equities broke out to the upside on Friday, many traders sat up and took notice. True, stocks also had a failed downside thrust when it violated resistance recently, but the current move certainly shows that the bulls have the upper hand. But which market should traders listen to? The stock market which just staged an upside breakout? What about the bond market, which shows 10-year Italian-Bund spreads rising to challenge the 4% new high level, which signals rising systemic risk in Europe? What about the message that economically sensitive Dr. Copper is sending? 3Q Earnings Seasons has been coming in relatively strongly. Most economic indicators for the US have been surprising to the upside. Stocks are reacting more strongly to good news from Europe than bad news, which is an indication that the market is ready to rise. The announcement last week that this weekend's meeting was not going to produce a definitive agreement and that a second meeting on Wednesday October 26 should have been terrible news and the markets should have cratered. While they did decline between 1% and 1.5% on the news, they rallied strongly when Merkozy stated that they would produce an "ambitious" rescue plan. These purchases were significant not for what they said about the banks, but for what they revealed about their owner. They signalled that China’s government will act, if necessary, to shore up the economy and the banks if a sharp slowdown takes hold. It purchased bank shares (on a far bigger scale) in September 2008, the first of a flurry of rescue measures, culminating in a big stimulus package two months later. My inner bear points to the headline of Schaeffer's Research note which says it all: Despite technical feats, bulls remain at the mercy of Europe. Last week, I wrote about a framework for assessing a eurozone rescue plan and later tried to assess the probable eurozone Grand Plan, which was a form of best case analysis. The Germans are currently balking at writing a big cheque to bail out their Greek cousins as they eye their Portuguese and Irish cousins standing outside the door. That's why I wrote that for any Grand Plan to succeed, both the EU's Grand Plan has to be credible AND the ECB has to cooperate and state that they will undertake to print sufficient amounts to reflate Greece and the other peripheral countries, whether that's €1 trillion or €5 trillion. Investor sentiment and intraday market action remain focused on news flow and speculation regarding policy developments in Europe. Our meetings with clients in the US, UK, and continental Europe during the past two weeks revealed a clear delineation between the views of those located in Europe and those looking towards Europe. Investors continue to vote with their feet as evidenced by mutual fund outflows and smaller net equity futures positions since the end of July. Investors “on the continent” are more composed about the direction and pace of policy decisions. Perhaps reflecting a home field advantage in understanding the region’s culture and politics, local investors are less anxious that periphery countries ultimately will receive support and less concerned about the day-to-day public conjecture. One worrying takeaway is that European politicians seem less sensitive to swings in asset prices and thus may be more tolerant of declines than in other regions of the world. In a numerous discussions with equity analysts and investors in North America, my inner bear would also say that the majority aren't aware of many of the issues surrounding the eurozone crisis and therefore they are inclined to react to the headlines, such as the circularity of trying to rescue yourself with more debt, whether it's through EFSF as a monoline insurer or any other scheme. In effect, the upside breakout by US equities is a fake-out, not the start of a true bull phase. That's also the message of the European bond markets, which is more used to pricing default risk, as they pushed the 10-year Italy-Bund spread to 4%. The message from Dr. Copper and other commodity prices are also signaling a weak global economy. Unlike the breakout seen in equities, the chart of the CRB Index shown below indicates that the gap from late September was filled but commodities continue to show weakness. These are not signs of a reviving economy. I am inclined to tilt towards the views of my inner bear because inter-market analysis is not confirming the upside breakout, though I am listening to the message of my inner bull. There is, however, a far-out alternative hypothesis that could prove my inner bull right. The European who are sanguine about this crisis are right. There is a Grand Plan that's already been decided by the eurocrats. Anecdotal evidence suggests that many German bureaucrats understand that the ultimate solution is to allow the ECB to go nuclear and print money like Helicopter Ben and having Mario Draghi at the head of the ECB gives them political cover to blame the Italian. The objections of the Old Guard, who will still remember the hyperinflation era of the Weimar Republic and will brook no discussion about any form of reflationary policy, will eventually be overcome. What you see in the news is just posturing by various parties playing to their own constituencies but the True Grand Plan will be revealed in the near future. This is getting so far into tinfoil hat territory that I am not sure what to say. As the financial world waits the results of Sunday's yet-another-euro-summit, there have been enough leaks and trial balloons that we know the approximate shape of the approximate shape of the plan. So let me look at the anticipated Grand Plan to assess it in the context of the framework that I had outlined earlier in the week. Here is my draft of the "Grand Plan". Preamble: We are committed to keeping the eurozone together. Greece is a special case and we will take steps to alleviate the pressures on Greece and other peripheral countries in order to put them on sustainable path to growth. At the same time, we will undertake steps to ring-fence the financial problems stemming from Greece so that the financial contagion does not spread to other member states. With that in mind, we will implement the following five point plan. The EFSF will become a bond insurance program, insuring the first 20% of the debt of any eurozone member that wishes to participate in the program. Member states that wish to use EFSF insurance will pay a fee of X% to the EFSF for that privilege. Thus, the capacity of the EFSF will expand from €440 billion to €2.2 trillion. We will offer any holder of Greek bonds a voluntary exchange: Take a 50% haircut on your paper and in return you will get an EFSF insured Greek bond of some long maturity. European banks will be required to re-capitalize to 9% of Tier 1 capital. Banks are urged to seek private sector solutions to recapitalize to the target ratios, but those that cannot will be offered equity injections from member states (i.e. the German solution). A Tobin tax will be imposed on financial transactions, either in the EU or the eurozone, in order to finance this scheme. The ECB stands ready to provide any level of liquidity to the banking system. Banks can go to the ECB for unlimited loans, collateralized by the "qualifying debt" issued by member states. The ECB continues to be mindful of its anti-inflation mandate and opposes any form of quantitative easing. If that is indeed the Plan, then it will be hugely disappointing to the market. While the €2.2 trillion figure is large enough to shock and awe the market, many of its other features of are problematical. Professor Ansgar Belke, from Berlin's DIW Institute, said any leveraging of the EFSF would be "poisonous" for France’s AAA rating and would set off an uncontrollable chain of events. "It counteracts all efforts made so far to stabilize the eurozone debt crisis, which are premised on the AAA rating of a sufficiently large number of strong economies. In extremis, it would probably cause the break-up of the eurozone", he told Handlesblatt. Dr Belke said France is already under pressure. BNP Paribas, Société Générale, Crédit Agricole may need €20bn in fresh capital, with knock-on risk for the French state. He warned that France’s public debt (Now 82pc of GDP) would shoot up to 90pc of GDP if the debt crisis rumbles on. Variants of this theme were picked up by other German economists in a Handelsblatt forum. (1) How on earth can EFSF guarantees resolve the main problem faced by over-indebted nations, namely the problem of unsustainable debts? (2) If the EFSF were to remain a €440-billion fund, how can that amount be sufficient to provide already committed sovereign financing backstop through 2015-2017, supply banks’ recapitalization funds, provide additional backstop funds for current (Greece, Ireland and Portugal) and potential future (Italy, Spain and possibly Belgium and France) borrowers, while underwriting a new tranche of CDS-style insurance on bonds? Especially since such EFSF insurance contracts will have to cover ALL of the debt issuance by the distressed sovereigns. Assigning only partial (by stressed maturities or specific issues) cover will risk destabilizing the yield curve on government bonds, inducing additional maturity profile risks. 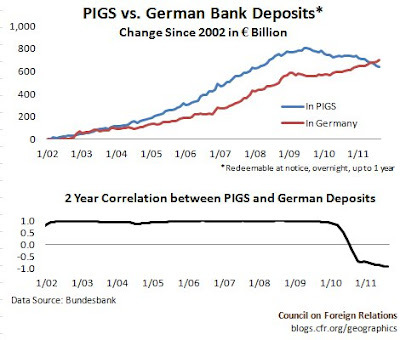 Then there's the problem of bank recapitalization. I assume that the German solution will be adopted as individual EU countries will be responsible for recapitalization their own banks. Not all of the banks will be able to get new equity through the private market solution. If they go the full or partial nationalization route , where will the money come from? The funds for the EFSF are already committed. Individual EU members will have to even dig deeper into their own pockets to save their banks. It will be bad enough for France, which will likely lose its AAA credit rating but survives. What about Cyprus? Or Portugal? The EU needs to formulate a credible plan. The ECB needs to become more pragmatic and embark on quantitative and qualitative easing. The Greek Street has to agree to any austerity plan. So far, the ECB has been silent on the plan and does not appear to want to bend on quantitative easing. It is unclear whether they will even cooperate on the issue of qualitative easing. Suppose a European bank that is facing a bank run goes to the ECB and asks for a loan under their liquidity facility. It then offers as collateral, not Bunds, but Greek, Portuguese or Irish debt. Will the ECB collateralize that 100%? Can you imagine the Lehman aftermath without the cooperation of the Federal Reserve? The government unveils TARP, TALF and an alphabet soup of programs to rescue the American financial system. The Fed then proceeds to obstruct the rescue by refusing to engage in quantitative easing. Their efforts to supply liquidity to the market is limited to collateralization by Treasury issued securities (and not mortgage backed and other "toxic" paper)? What would have done to credit spreads? What would that have done to inter-bank lending and counterparty risk? 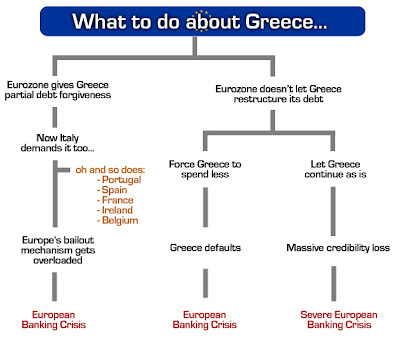 Another question is, "Will Greece cooperate?" The Greek Street is already highly stressed. The BBC reports that Greek suicide rates are skyrocketing as ordinary citizens and small business owners struggle with the fallout from the financial crisis. Can Greece grow sustainably after the restructuring? I pointed out before that a 50% haircut only amounts to a 22% debt reduction, assuming that the ECB and IMF do not tender to the "voluntary" debt swap. The Irish Times reports that Greece and Portugal are mired in deflationary trap. Is a 50% haircut enough? Could the debt crisis spread to Portugal? These are all good questions to which I have no answer, but I believe that the market will assign a high risk premium to compensate for those events. In such a case, the ring-fence will have failed. Late yesterday, the Guardian reported that France and Germany had agreed on a grand plan, which included an EFSF insurance program and bank recapitalization (what a surprise! ), and equities rallied on the news. The story was later denied. I am assuming that, given all the leaks, that the grand plan consists of the elements that I described. I would say that my projection represents the best case - anything less would mean a more negative reaction. As it is, my draft of the "Grand Plan" doesn't stand up to scrutiny and would likely fall apart within days. Enough analysis for now. I am now going to curl up in a foetal position and read King Lear, just to cheer up. Are these isolated incidents of a Sign of the Times? In a reversal of historical flows, immigration lawyers report a surge of calls from Americans who want to move north. Statistics bear out their observations: A record number of Americans applied for temporary work visas last year, Immigration Canada statistics show, spurred largely by the contrasting health of the two countries’ labour markets. On one side of the border, 14 million Americans are out of work – the equivalent of more than 40 per cent of Canada’s population. On the other side, some employers – particularly in Alberta’s oil sector – say they can’t find enough skilled workers, prompting the country’s federal immigration minister to publicly muse last month on how to admit more skilled Americans. The U.S. jobless rate is 9.1 per cent while Canada’s comparable rate – adjusted to U.S. concepts – is just 6.3 per cent, statistics released last week show. Canada is indeed becoming a more attractive place to live. When I moved from Canada to the United States in 1994, the top combined marginal income tax rate in Canada was about 53-55%, depending on provincial jurisdiction. When I returned in 2007, the top rate was in the low to mid-40s. While headline healthcare costs are minimal in Canada, residents still bear the costs of drugs so the overall costs between Canadian and American healthcare aren't hugely different for someone with a job (see my previous post about comparing Canadian and American healthcare). I continue to believe that America is undergoing a multi-decade process of losing its global leadership. The US Dollar will, at some point in the future, lose its status as the premier reserve currency in the world. That's why I remain a long-term commodity bull. While we are current moving through a period when deflationary forces are ascendant, the long-term path for commodity prices is still up, albeit in a volatile fashion. The major industrialized countries of the world will undergo a path of competitive devaluation and those pressures will show up mainly in commodity and asset price inflation. Looking longer term, low or negative real interest rates generally signal a friendly investment environment for commodity prices. Continued government and/or central bank accommodative policy responses will likely push real interest rates even lower and add to even more future asset inflation. Indeed, the latest FOMC minutes are hinting that the Fed will not hesitate to undertake QE3 should the economy weaken further. Investors who are opportunistic or prepared to look over the valley can view periods of market weakness as opportunities to accumulate positions in commodities or commodity producers as a hedge against asset price inflation. Greece and the rest of southern Europe will have to become more competitive. The obvious answer is currency devaluation. This means leaving the eurozone, either as a bloc to form a southern and softer euro, or individually (which could mean leaving the EU altogether). The eurozone forms a transfer union, with the North supporting the South through a series of transfer payments channeled through Brussels. This will mean that member states will give up some degree of fiscal control and sovereignty. As Mr Trichet pointed out at the AFME dinner, if the eurozone were a single country, it would actually look like a model economy, with a small current account surplus, a primary budget deficit of less than half that of the UK and the US, subdued household debt, low inflation and a little growth. Such bailouts risk an Alice through the Looking Glass world where sovereigns are borrowing money to prop up banks that only need propping up because the sovereign has borrowed too much money. There's a self-defeating circularity about it which raises the obvious question of "who bails out the bailer-outer". The immediate question then becomes, "Can all these elements cooperate in a credible way to avert a meltdown?" Europe’s strategy currently includes writing down Greek bonds by as much as 50 percent, establishing a backstop for banks and magnifying the strength of the newly-enhanced European Financial Stability Facility, people familiar with the matter said yesterday. Optimism the two-year crisis may soon be tamed spurred stocks higher this week and pushed the euro to its biggest gain against the dollar in more than two years. The banks have come out against recapitalization. Is this grandstanding? They have threatened to get to the targeted capital ratios by shrinking their balance sheet, i.e. calling in loans, which would cause a credit crunch and cause Europe to nosedive into a severe downturn, rather than raise new capital by diluting their shareholder base. Deutsche Bank has also attacked the recapitalization plan in a similar way, yet at the same time they are said to be weighing a rights issue. Will the bank recapitalization plan focus on the right ratios? This column from Jonathan Weil says it all. "Regulatory capital should not be confused with the actual amount of capital banks have in real life", he wrote, because "the French-Belgian lender Dexia SA reported having a 12.1 percent core Tier 1 capital ratio as of Dec. 31, the date the banking authority used for its latest stress tests." Oops. What is an EFSF guarantee worth? This was the question asked by FT Alphaville: "What would the state of the EU be if Italy had to default? Can you count on the EFSF guarantee in such a case?" Also see why the EFSF is not the holy grail for similar arguments. These objections raise a very valid point of the creditworthiness of the EFSF. For traders, though, it is less relevant as any rescue deal that doesn't immediately fall apart and kicks the can down the road would result in a rally of risky assets - and that's all they care about. For investors, it is an important consideration. These issues tend not to matter to the market until they matter. What the UBS economists have done is assume that both the ECB’s holdings of bonds and the official eurozone and IMF loans will avoid being written down. This will put all the load on the private holders despite the eurozone loans supposedly ranking equal with them. (Ask the Finnish government how likely that equal ranking will be…)"
This is a more important point for traders as the level of net reduction in Greek debt will be relevant to the Greek government and Greek Street. Insufficient debt reduction will have the potential to unravel the deal. 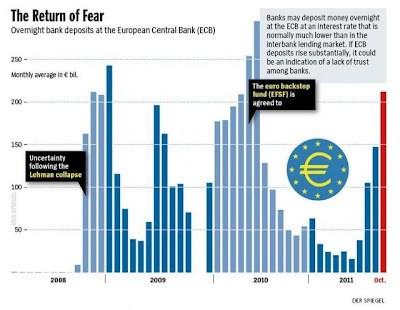 Will the ECB go nuclear with QE? Can you imagine the Lehman aftermath without the cooperation of the Federal Reserve? The government unveils TARP, TALF and an alphabet soup of programs to rescue the American financial system. The Fed then proceeds to obstruct the rescue by refusing to engage in quantitative easing. Their efforts to supply liquditiy to the market is limited to collateralization by Treasury issued securities (and not mortgage backed and other "toxic" paper)? What would have done to credit spreads? What would that have done to inter-bank lending and counterparty risk? Might that cause a bank run like this? Unlike the Federal Reserve, which has a dual mandate of fighting inflation and to maintain economic growth, the European Central Bank only has the single mandate of fighting inflation. That's why they have so far refused to engage in QE. Were the ECB to tender their Greek debt to the current voluntary 21% haircut offer, it would render them insolvent. There are two solutions, both of which are unpalatable. They can either go to member states for more capital, or they can engage in quantitative easing. In my opinion, for any rescue deal to be credible, the ECB needs to cooperate with an EU plan. They have to be prepared to go nuclear and announce that they will print whatever it takes in order to reflate the PIIGS and that amount may have to be in the €1-3 trillion range. Moreover, they may have to hold their noses and accept toxic sludge as collateral in order to reliquify the system, just as the Fed did during the 2008-9 episode, and ride roughshod over any objections over the practice of "qualitative easing". Against this background, the ECB has strongly advised against all concepts that are not purely voluntary or that have elements of compulsion, and has called for the avoidance of any credit events and selective default or default. PSI [Private Sector Involvement] could also damage the reputation of the single currency internationally, possibly adding to volatility in foreign exchange markets. In particular, public and private international investors may be cautious about investing large portions of their wealth in assets denominated in a currency of sovereigns that may not fully honour their obligations and may be willing ex ante to rely on PSI in some circumstances. Frankly though, we’re amazed if the ECB thinks it has the suasion power to tell sovereign debtors what to do. And by linking the euro explicitly to a no-default rule, we would argue that they only make it more likely that sovereigns will leave the euro altogether in order to default. "We must act fast. The sorts of interest rate rises seen over the last three months, if protracted, could lead to an uncontrollable spiral," said Mario Draghi, who takes over as head of the European Central Bank next month. Mr Draghi hinted that ECB help is nearing its political limits, evoking Italy's "atavistic temptation" of waiting for an army to cross the Alps to sort out its problems. "It is not going to happen. All our citizens must be are aware of this. It would be a tragic illusion to think that the help will come from outside," he said. Does this sound like someone who will embrace quantitative easing? The European Central Bank advised Belgium not to backstop Dexia SA (DEXB)’s interbank deposits and to avoid providing guarantees on debt maturing within three months because it risks interfering with the central bank’s monetary policy. The ECB also said the planned debt guarantees for Dexia may last as long as 20 years, which is inconsistent with European Union guidelines for national support measures to be temporary in nature, according to a statement published on the Frankfurt- based central bank’s website and dated Oct. 13. While the ECB is a central bank in almost all respects, what it isn’t is a lender of last resort for individual euro zone nations, a role that is expressly ruled out by the European Treaty. We remain committed to take all necessary actions to preserve the stability of banking systems and financial markets. We will ensure that banks are adequately capitalized and have sufficient access to funding to deal with current risks. Central banks have recently taken decisive actions to defend, and will continue to stand ready to provide liquidity to, banks as required. Monetary policies will maintain price stability and continue to support economic recovery. What does the phrase, "maintain price stability and continue to support economic recovery", mean? The latter phrase has never been part of the ECB mandate? It is important to remember that the ECB is not a normal independent central bank in the mold of the Bank of England, the Bank of Japan, or even the Federal Reserve. Normative academic studies of what outcomes monetary policymaking should target and how to achieve them rarely apply to the ECB. It has no single government counterpart within Europe and thus enjoys far more political independence than any other large central bank. This unique independence derives from Article 282 of the EU Treaty [pdf], which states that the bank “shall be independent in the exercise of its powers and in the management of its finances. Union institutions, bodies, offices and agencies, and the governments of the Member States shall respect that independence.” In other words, the ECB has no political masters. Even if it did, the treaty would bar them from criticizing its decisions. The ECB’s overarching goal is for the euro area’s politicians to establish credible European institutions working alongside the bank. It seeks, for example, bulletproof fiscal constraints on euro area members (something more credible than the Stability Growth Pact, which was widely ignored). It also wants a common euro area crisis fund to relieve the bank of the primary bailout responsibility. In addition, the ECB wants individual member states to accelerate structural reforms in their national economies. Such goals cannot be achieved within several weeks, which is the timeframe for rescuing the eurozone. If that is indeed the case, don't necessarily count on them to be a team player in any rescue deal. Will the Greek Street cooperate? When Argentina defaulted not only did the government default but they forced a private default. If you had a debt in US Dollars in Argentina prior to the default you were forced to pay it back in Peso. Indeed it was illegal to make payment in US dollars. Likewise if you had a US dollar asset you got back Peso. A dollar deposit in Citigroup in Buenos Aires became a peso deposit. If you really wanted to keep your dollars you needed to make your Citigroup deposit in New York. The forced private sector default was necessary for Argentina. The Argentine banks all had lots of US dollar funding. If you devalued without forcing their default then they would all have uncontrolled defaults (a true disaster) and the country would lose its institutions. Telefonica Argentina would have failed too - failing to replay USD debts. The same applies in Greece. If the Greek Government were to devalue the new Drachma (to perhaps a third the value of the Euro) then the banks (which are loaded with Greek Sovereign paper) would default. Even Hellenic Telecom would default because they would be forced to repay their billions of Euro borrowings whilst collecting only Drachma phone bills. At the extreme, Papandreou could be assassinated or the military could stage a coup d'etat. It was certainly within my lifetime that Greece was ruled by a military junta. (Maybe that's why they just bought 400 American tanks). When you press politicians and establishment types (and I did) who are against unilaterally disavowing the debt, a strange thing happens. I kept asking, "But the voters seem to want to forego the debt. And the math suggests that Ireland can't pay back these foreign bankers without great sacrifices." At first, they would point out that Ireland is doing what needs to be done: cutting spending and payrolls. 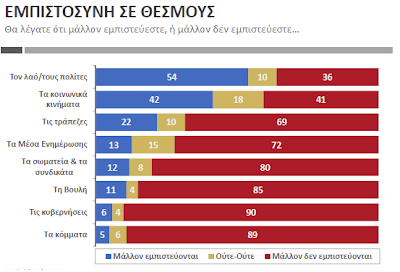 We are not Greece, they say; there is a need for "respectability." But when pressed, they would come around to admitting that, "Yes, Ireland will get a haircut." Everyone I met expected it to happen. The difference was the path to the haircut. But while the politics matter, the destination is the same. Some favor doing it outright. Others truly believe they will be offered a haircut when Greece and Portugal get theirs. They fully expect it. In a meeting with an establishment-insider economist (off the record), who was at the table when the first deal was done, he said there was an implicit understanding with the IMF (and ECB) that whatever was offered to Greece, et al. would be available to Ireland. So Ireland went along with the bailout to keep from imploding the euro and averting a crisis that would have been biblical in proportions. The future of the euro is now not in their hands, because by taking on the debt they did not blow the euro up. Which could have happened, because European politicians were not ready for such a crisis. So rather than having to kick the door open for a haircut, they expect the door to be opened for them by the IMF and the ECB. A far more respectable path for those who are very pro-Eurozone. But Irish leaders clearly get that voters expect that something will be done. They have time, as it will be another three-plus years before elections. By then, the crisis will have fully evolved and resolved itself, as far as the political public is concerned. And politicians will take the credit, as they always and everywhere do. Greece: It will struggle to meet obligations for its bailout and could see its government collapse at any moment. Portugal: Before presenting a draft budget to parliament on Monday, Portugal is expected to announce a new austerity package amidst rising civil discontent. Portugal is looking like the new Greece. Spain: Despite the progress made by the outgoing Spanish government, Newton thinks the country's troubled banking system continues to face contagion from Portugal. Its November 20 general election, however, is likely to bring the Partido Popular party to power or a coalition which will push through more reforms. Italy: It needs to win back market confidence as investors are panicked about contagion risk and the country's politics. The country failed to pass its 2010 budget and amidst his other scandals, prime minister Silvio Berluscnoi's leadership is in doubt. France: Newton is concerned about the 2012 elections. Though incumbent President Nicolas Sarkozy is 5 percentage points ahead of his biggest threat Marine Le Pen, a run-off between Le Pen and a Socialist candidate (to be decided next week) would not settle well with markets. Portugal is in much the same trouble, despite the heroic austerity drive of premier Pedro Passos Coelho -- a latter day Marques de Pombal. The country’s total debt will top 360pc of GDP next year, and its current deficit is stuck near 10pc of GDP. This mix is worse than in Greece. Rome erupted in riots on the weekend. Even in Germany, there are signs of civil unrest (see Left-wing terror group blow up railway line in EIGHTEENTH attack in three days). Once you open up the Pandora's Box of civil unrest, you can lose control and won't have any idea of where it leads. My inner investor, on the other hand, is watching the bigger picture of whether Europe can move back into a sustainable path for growth, or will any solution just kick the can down the road once again without the real problems getting resolved. What if Michael Dell had been Chinese? Sideways consolidation before the next downleg? 30-year T-Bond yield at 0.8%?? ?